The Blue Jays' Low A affiliate, the Lansing Lugnuts of the Midwest League, host an annual exhibition game with the Michigan State Spartans - the "Crosstown Showdown" of the state capital's two ball teams. Last year, a Home Run derby took place before the game, which was held after the Lugs' regular season ended. A pair of prospects from lower levels by the name of Guerrero and Bichette were invited to take part in the derby. Each side entered three players. The contest was won not by one of the prized youngsters, but by Toronto's own Connor Panas, who played for Lansing. Panas makes up for his lack of plus tools with a lack of weaknesses. A graduate of the Toronto Mets club program, Panas is as polished as college players come. He's a lefthanded hitter with fringe-average bat speed and a good understanding of what he's able to do, though he can sometimes expand the strike zone. He is able to drive mistakes a long way, though his power is closer to fringe than it is average. Panas is 6-foot, 215 pounds and plays passable defense at third base, showing quick feet and an average arm. He is a slightly below-average runner out of the box. Overall, Panas' lack of major weaknesses will entice a team to give him a chance, especially as a senior who has four years of performance under his belt. And to be honest, through his first two pro seasons, while he did show some pop at Lansing (16 Homers in a difficult HR league), there was not a lot to suggest that he would be a breakout candidate in 2017. But after posting a line of .231/.343/430 at Lansing last year, Panas has become one of the Florida State League's most dangerous hitters this season. The pair of Homers he hit on Thursday night gave him the FSL lead with 18, and he leads the league in flyball rate, is second in Slugging, and sits 5th in OBP. His performance has led to a league post-season all start selection. When I have the least amount of head movement that's when I'm at my best because I recognize pitches early and I'm able to square them up more often. Limiting my movement and simplifying everything has been what stands out the most. With the change in mechanics comes something of an adjustment in terms of his approach. Like all Blue Jays prospects, he's taught to hunt the fastball, but he's now started to be more selective at the plate. "This year has been very beneficial to me," he responded when asked what has been the difference this year. "Not just in production numbers, but now I have come to realize and process what works well for me at the plate." One thing that stands out the most when it comes to helping me develop as a player (is) the mental side of baseball is a tricky thing to overcome especially when you are playing 140 games. You'll have your ups and downs but it's crucial to stay level minded. Don't get to high or too low. We have several psychological strength coaches that are always there for you. Panas has gotten stronger both physically and mentally as the season has progressed. Through July 1st, he had hit all of 4 Home Runs, and was hitting a paltry .223. Since that time, he's been one of the hottest hitters in the organization, slashing .332/.403/.621. 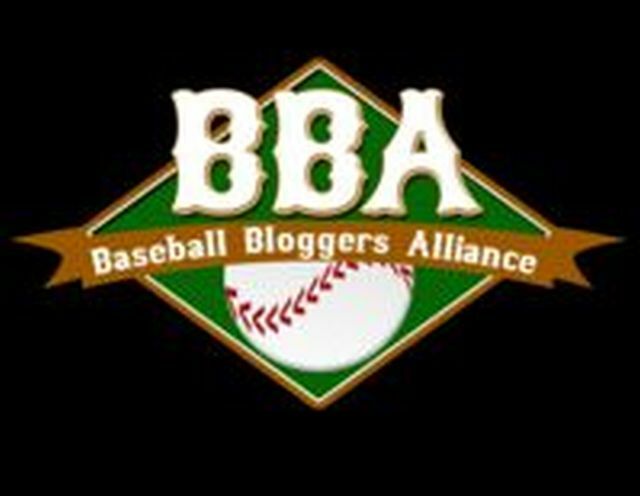 There is not a lot of video to dissect as only one FSL team (Bradenton) has a stream on milb.com, but the few games that are available back up Panas' claim about keeping his head still. The left handed hitter sits deep in the box, and has an upright, slightly open stance. He has only a slight leg kick that likely assists in minimizing movement in all parts of his swing. His bat speed, combined with this stance, allow him to maximize plate coverage. A decent defender, Panas has played mostly in the OF for Dunedin this year, with over half of his games coming in RF. He can also play 1B, and he DHs on occasion. With his performance over the second half of the season, he's starting to profile as a versatile, corner OF/1B type of bat-first player. Playing in a Blue Jays system that is vastly upgraded from what it was two years ago, he may not be a Top 10 player, but he's certainly working his way into the conversation.